In 2016, Nadiro A/S, a subsidiary of VIKING Life-Saving Equipment A/S, reported a profit before tax of DKK 1.1 million, against a deficit in the previous financial year. Based in Svendborg, Denmark, the company develops and manufactures a unique hydraulic system for lowering lifeboats and releasing them in the water in emergencies. 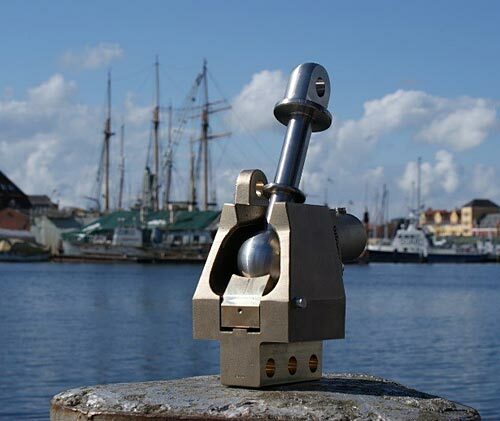 The Drop-in-Ball™ system is marketed and sold through VIKING’s global sales organisation and complies with the international SOLAS regulations. “We have succeeded in activating our global sales organisation, particularly in the cargo segment, but also in the passenger and offshore markets. The customers trust in the quality of our system, which is much simpler and easier to operate than traditional solutions, and we see shipping companies making voluntary, non-compliance-driven replacements of systems to improve the safety level,” says Henrik Helsinghof, Director of VIKING Nadiro. To meet the new SOLAS requirements, vessels must have an approved hook system installed by 2019. VIKING Nadiro has the strongest position in North European markets and has a high market share among the world’s largest shipping companies. “VIKING Nadiro in Svendborg is our center of competence when it comes to lifeboat equipment and our expert in replacing systems on board vessels. We also have a global service network ensuring that measurements are taken and that fittings and other system parts are modified before the systems are installed at shipyards worldwide. VIKING Nadiro delivers the complete package and has by far the best delivery times on the market – and the word is spreading among both existing and potential customers,” says Henrik Helsinghof. The volume of orders in the cargo and passenger markets is on the increase, and Henrik Helsinghof expects the success to continue throughout this financial year and the next. The improved profit is also because VIKING Nadiro has worked successfully on getting its house in order by cutting costs. VIKING acquired Nadiro A/S on July 1, 2015 to strengthen its position on the lifeboat market. The Drop-in-Ball™ system was developed by one of the two then owners, A.P. Moller - Maersk.